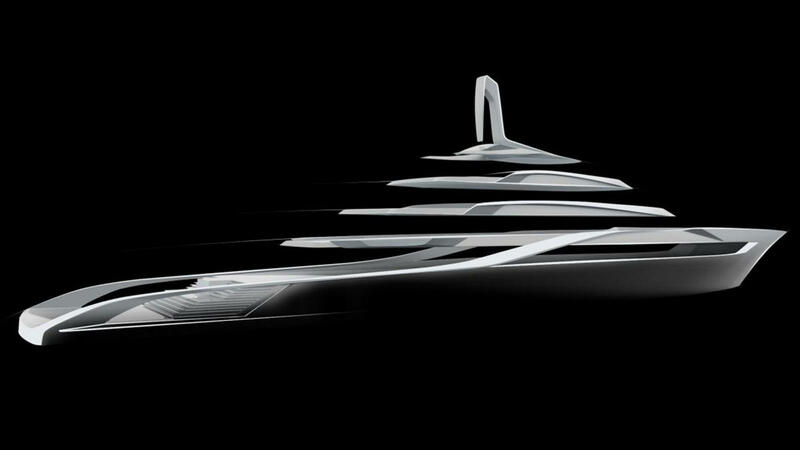 British design studio Bannenberg & Rowell has revealed its latest concept, a 90 metre design for Nobiskrug called Muse. 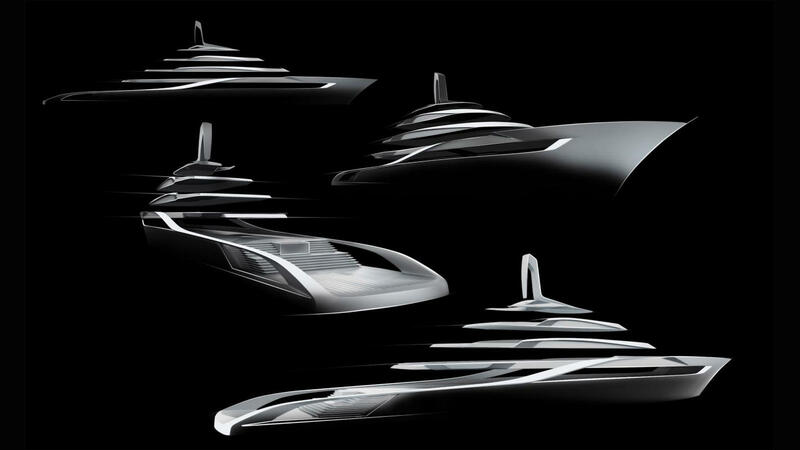 Unveiled at the Monaco Yacht Show, this bold superyacht concept places strong emphasis on exterior relaxation. Accommodation is for 16 guests split across seven main deck guest cabins and an owner’s suite on the upper deck. From this raised vantage point, the owner would enjoy panoramic views aft from the comfort of the rotating bed. Holger Kahl, managing director of Nobiskrug praised the concept’s “free flowing synergy between interior and exterior space”. One key aspect of this is the flush-fit pool, which would feature glass panels in the base to allow light to filter through to the deck below. This area could also be covered by a retractable sunshade. Tender storage is provided in two large lockers either side of the pool, allowing the owner to store a wide range of superyacht water toys. Moving aft from here, Muse features an open-sided superyacht beach club measuring nine metres long, with a concealed bar and another sunshade that rises hydraulically out of the deck. Bannenberg & Rowell adds that this area could easily be converted into an enclosed spa, should the owner prefer. The studio added that Muse would feature flowing teak decks to smooth the distinction between the various levels, creating an effect they call ‘infinity decks’. Other projects currently under development at Bannenberg & Rowell include interior designs for Alida and Ruya, both of which are due to launch at Heesen Yachts in 2017.